At the edge of the Russian wilderness, winter lasts most of the year and the snowdrifts grow taller than houses. But Vasilisa doesn’t mind—she spends the winter nights huddled around the embers of a fire with her beloved siblings, listening to her nurse’s fairy tales. Above all, she loves the chilling story of Frost, the blue-eyed winter demon, who appears in the frigid night to claim unwary souls. Wise Russians fear him, and honor the spirits of house and yard and forest that protect their homes from evil. After Vasilisa’s mother dies, her father goes to Moscow and brings home a new wife. Fiercely devout and city-bred, Vasilisa’s new stepmother forbids her family from honoring these household spirits. The family acquiesces, but Vasilisa is frightened, sensing that more hinges upon their rituals than anyone knows. Many of the words and names in this book are foreign, so it did take me longer than usual to place all of the characters and their relationships to one another, but that is simply because I am unfamiliar with the Russian language. While this aspect of the story is the only thing that I struggled with, I wouldn’t change it in the slightest. The Bear and The Nightingale is part historical fiction, part literary fiction, part fantasy, and part fairy tale retelling. And it is wholly magical. I was absolutely fascinated by the way of life of the characters, and entranced by the Russian Winter setting. Vasilisa was basically everything I would want in a main character, and everything I want to be as a person. She was fierce and brave, loyal to her family, protective of her father’s lands, kind and moral…. I could go on. She is the type of character that girls should look up to; the type of character who casts off the chains that society wraps around her ankles, the type of character who does good and brings light into the world. I just found out that The Bear and The Nightingale is going to be the first book in a trilogy, but I wouldn’t have known based off of the ending. It was open-ended enough to keep me wondering (something I would have expected from a fairy tale type book) but also wrapped up enough of the story-lines to keep me satisfied. And that is always a good thing right? 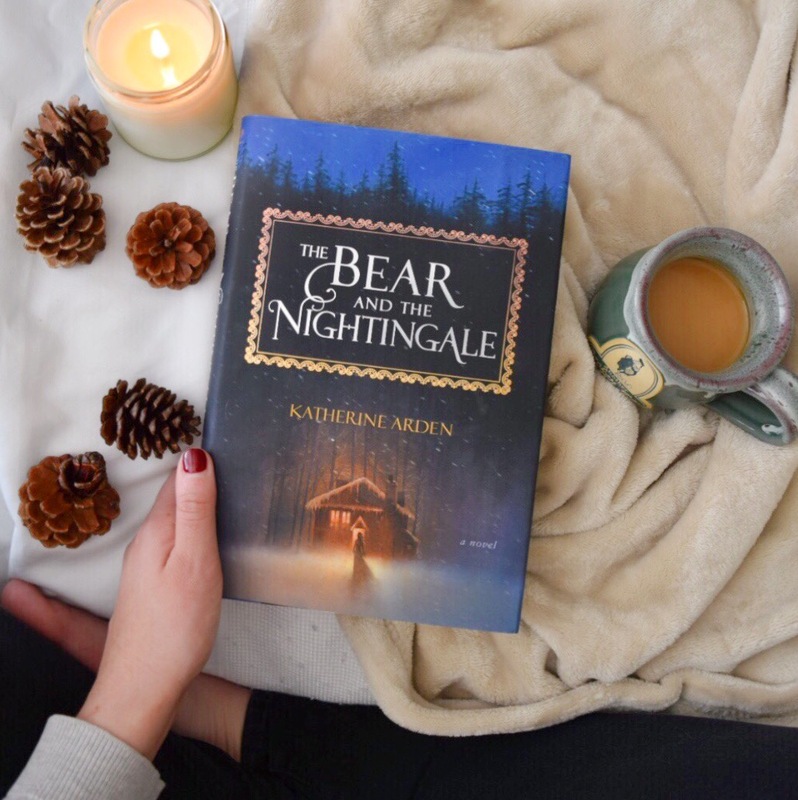 And good lord if I cannot convince you to read this book, check out Katherine Arden’s Pinterest Board on The Bear and The Nightingale here: I am mesmerized, transfixed, hypnotized. Ooooooooh good review! I saw this one on Netgalley (didn’t get approved *sobs*), and now I’ve been seeing it in stores. The title/cover was enough to draw me to it, the Russian setting is even more enticing (I love all things Russian), and now your review has me like :O. So I should probably pick this one up soon. I received a copy of this from NetGalley and was very impressed with it. Like you I occasionally struggled with Russian naming conventions but I wouldn’t want that element to change at all. It was a beautifully written and magical story, and I am really looking forward to what happens in the next two books.